A new year – a new website! 2014 how was it for you? 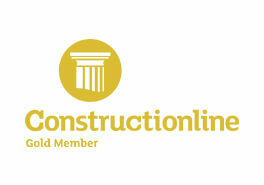 UK Drillers : New Website is Under Construction! By UKD-admin Comments Off on A new year – a new website! We are pleased to officially launch our new website today! Designed and built by our very own Office Manager Janis Harbour. In 2015 we at UK Drillers have decided it is high time that our company focus on Marketing to increase our enquiries, so the new website is essential. We have also signed back up to Yell.com and will also be attempting to improve our Google Adwords campaigns shortly. We really think improving our marketing strategy will help us to achieve a steady flow of work by encouraging potential new customers to contact us. Whilst the new site is now launched, additional content is to be added in the coming days including Health and Safety pages, our environmental policy, case studies of our work and a secure area where customers can obtain our insurance policy. In addition where we have a negotiated schedule of rates for a customer, we will be providing them with a login to access their rates from our site. We are looking forward to this new site working hard for us in 2015 and beyond.